Sold out shows, wild animals and community support, pretty much sums up what Festival of Small Halls, Summer Tour 2019 looked like for Liam Gerner and Fru Skagerrak. A road trip like no other from Queensland down to Cygnet, Tasmania, back up to Bowenville and all in between. Full of laughter, folk music and new friends. Whilst on the road Liam, documented snippets of his experience. Here is a tour through the eyes of Liam Gerner. In a short space of time, Liam and the women of Fru Skagerrak had performed at Woodford Folk Festival and were on their way to begin the Festival of Small Halls tour. What better place to start then the ‘edge of the world’ in Stanley, Tasmania. Next stop, was Wynyard the home to the Table Cape lookout and the largest Australian fossil of a marsupial. A great performance from the girls as well as the audience. Sulphur Creek, the place were an abundance of tea was consumed, cookies were inhaled and lots of happy faces crowded around together. Rowella was the first of it’s kind, sold out! 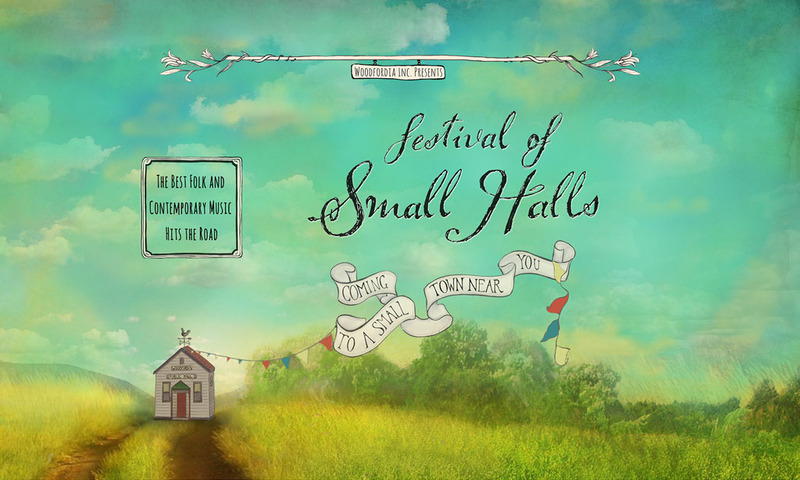 The community really got behind the initiative of small halls which is to celebrate the artistry of folk music whilst supporting the local community and their businesses. Nunamara was home to beautiful sunsets and a beautiful community that loved playing apart in the growth of their towns hall. There’s no escaping the fact that Longford was an incredible show. There was also the incredible experience of broadcasting the show through a local radio interview. Meander put out all the stops from pick up trucks to bunya pines and to top it off a delicious barbecue. Cygnet Folk Festival was a good breather for all to appreciate the community and its talent as well as providing the opportunity to perform. East Tasmania’s second largest township and one of the last show for Tasmania was Triabunna. Final tour stops for Tasmania were Southport and Forcett and were successful, playing outdoors to a larger crowd of the community. With Tasmania all done and dusted it was time to head up to New South Wales for the last leg of the tour. Kicking it off with Shellharbour. Exploring the town of Goulburn meant exploring the architectural pleasures of the church. As well as the stark contrasts the land had to offer. Hot, hot, hot! Nangus definitely brought the heat sweltering 48 degrees, that didn’t stop the community from getting involved though. Another packed house for both Orange and Clarence a great turn out for the community. There was a lot of history within the development of the arts that were on full display. The final leg of the tour consisted of Frederickton, Toornina, Eureka and Bowenville. And to close off a very successful tour the second last show was sold out. Festival of Small Halls Summer Tour 2019 was a hit with sold out shows, packed community halls and for many a newfound love for folk music.